GBPUSD has been affected by oil market, Service PMI, the index and UK 10-year government bonds yield. Yesterday the pair had a sharp fall to 1.40110 but bulls did not let the price go lower and pushed it up again however, the price is moving within the descendant channel. Now the pair is finding support at 1.4080 with resistance at 1.41600. The EMA of 50 is staying above the EMA of 20. The MACD indicator is in negative territory showing the price decline and the RSI is below the 50 level confirming the same scenario. 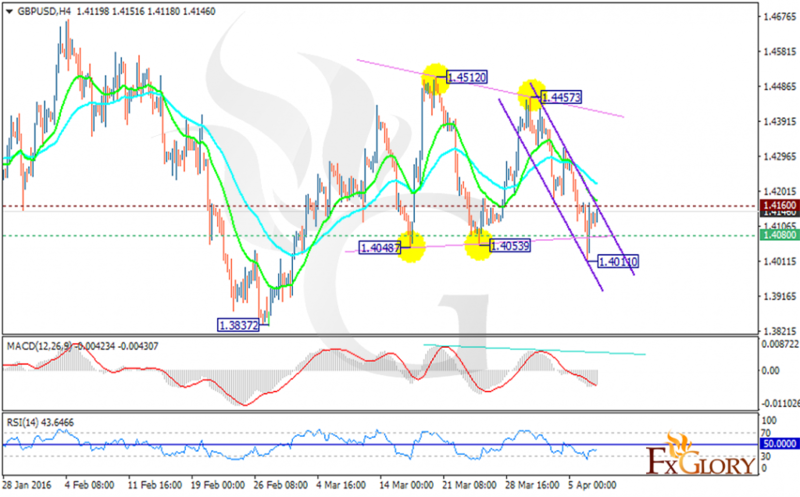 Short positions are recommended targeting 1.4000 otherwise if the resistance level at 1.41600 breaks the strong resistance level will be observed below 1.4667.